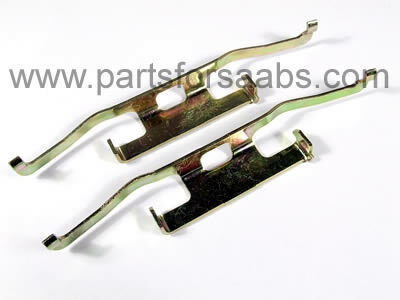 To Fit: Saab 9000 1985 to 1998 all models with the flatspring stlye of spring. Original equipment quality, Swedish supplied aftermarket spring clip kit, used in rear brake calipers. 1 pair supplied with this kit, (covers both rear brake calipers). This is the 'flatspring' style of spring and only suits some calipers - please check the style of spring you already have. We also sell the more common wire spring or 'threadspring' style.